A rushed shower in the morning. A quick scrub at night. Too often, bathing ends up being part of a routine—when it should be a ritual. Never a chore, always cherished. Throughout history, across cultures, around the world, bathing rituals represent time taken to relax and rejuvenate, and offer powerful lessons we can integrate and infuse into our modern lives. Bathing rituals are as old as civilization itself, an essential human practice for healing and nourishment. In ancient Rome, the communal process involved dips in a series of progressively hotter pools, followed by an oil massage and relaxation. In modern-day Japan, public bathing practices are still soaked into the national culture. There, locals indulge regularly in baths at hot springs, known as onsen—showering before submerging in the mineral-rich pools and absorbing their healing and restorative properties. What these bathing rituals have in common is getting clean is secondary. Emphasis is placed on self-care and taking the time to restore oneself. Author Sylvia Plath once wrote, “There must be quite a few things a hot bath won't cure, but I don't know many of them.” We could not agree more. As Fast Company points out, more and more of us are turning to bathing to consciously disconnect from technology and detox from digital distractions, while simultaneously reconnecting with body, mind and spirit. More than a trend, the return of bathing rituals can transform our lives. Finding serenity in the suds can be facilitated with a touch of organic opulence—just add healing salts, essential oils and herbs to the water. The possibilities are endless; lavender can promote relaxation, reduce stress, and has anti-bacterial and anti-inflammatory properties, while grated ginger can improve circulation. This is body care that begins from within, leaving us feeling not only cleansed, but confident. Indulgence does not have to end with immersion in water, either. As you watch all your cares go down the drain, further your self-care by moisturizing and nourishing your skin. This final step is essential. While many of us may turn to a conventional moisturizer, nutrient-rich oils can offer additional nourishing benefits. 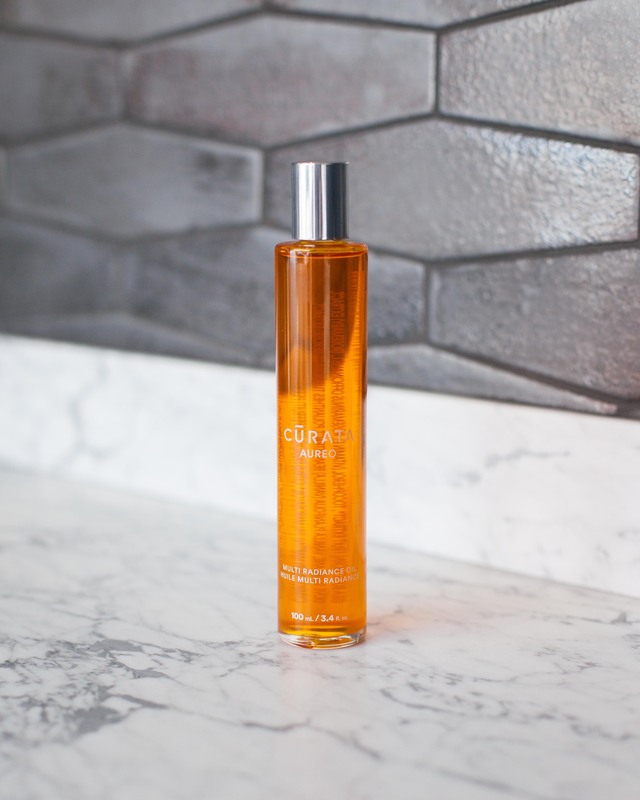 Cūrata’s Aureo Multi Radiance Oil glides on smoothly, hydrating skin to leave it dewy and glowing—never greasy. Decadent and deliciously scented with natural botanical fragrances like vanilla, white grapefruit and tuberose, we find ourselves sumptuously scented for hours. Nurture through nature—Aureo is made entirely from natural antioxidant-rich plant ingredients and is the essence of sustainable luxury. We all have a beauty cabinet full of products; this is the only one we need for our bodies. 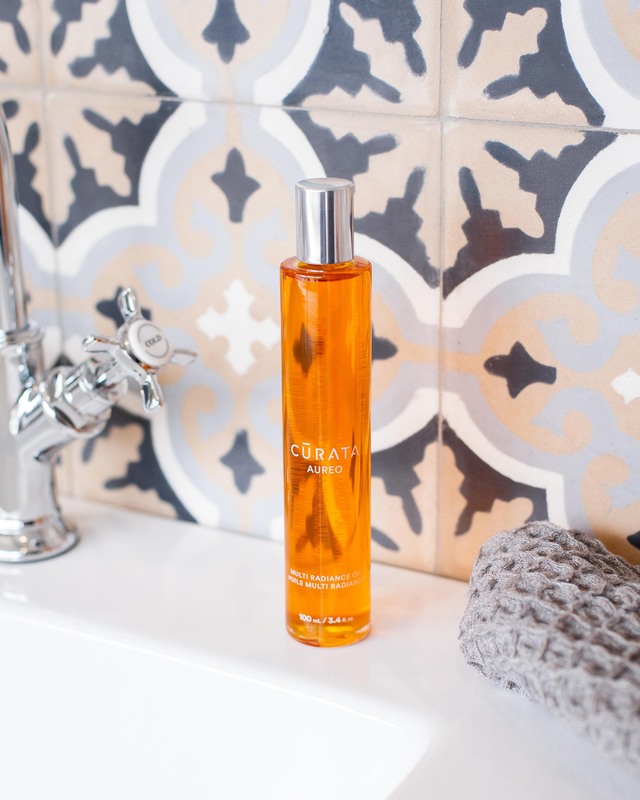 Infusing our bathing rituals with this multi-use oil revitalizes skin and soul, whether it is feeling a little more empowered after a morning shower or getting a calming cure-all in the evening. For those unfamiliar with using oils, it is as simple as it is sublime. After getting out of the shower or bath and exfoliating, towel dry lightly. Then, apply Aureo generously directly onto clean, damp skin or hair. It can be used with other products, though we suggest it as a base to be built on. From there, Aureo can be applied to face and neck in smooth, circular motions. Its non-greasy formula will leave pores clear, absorbing quickly and easily. Moving down, massage into skin across the body; be sure to take the time to breathe in its mysterious fragrances as it moisturizes every inch to radiance, inside and out. And that is it! We never see Aureo as another step in our beauty regime—rather one step closer to daily wellness. In our busy lives, taking the time to have a bathing ritual completed with body care is a form of self-care and sustainable luxury every woman should give herself.